The 1985 photo book, In Advance of the Landing, is an anthropological study of people who believed in UFOs or belonged to UFO cults from the early 70's-80's. The content is candid understated photographs and a short bio of the people involved in the pictures. 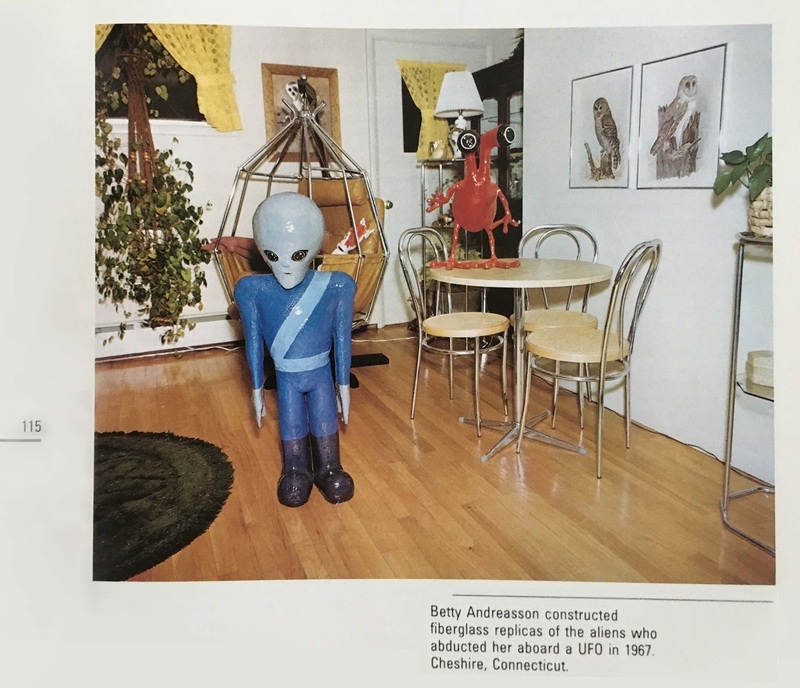 The image above is Betty Andreasson's home. It shows a fiberglass alien created from one of her drawings. But in the background are three framed pictures of owls. 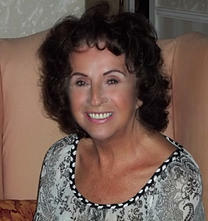 She was featured in the four book series, The Andreasson Affair, written by Raymond F-OWL-er. Also in the photo, on the table, is a red monkey-frog thing. If I remember correctly, these were seen in a cave by Betty. She was told that the little grays would harvest their eyes and then put them in their own heads. That's where the big back alien eyes come from. 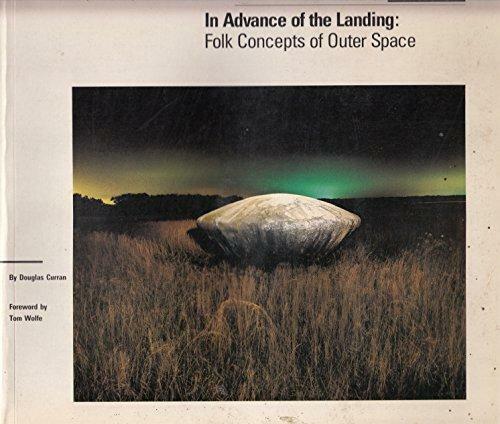 Thanks to Chris C. for sending me this image from an out of print book. There is another owl in The picture! 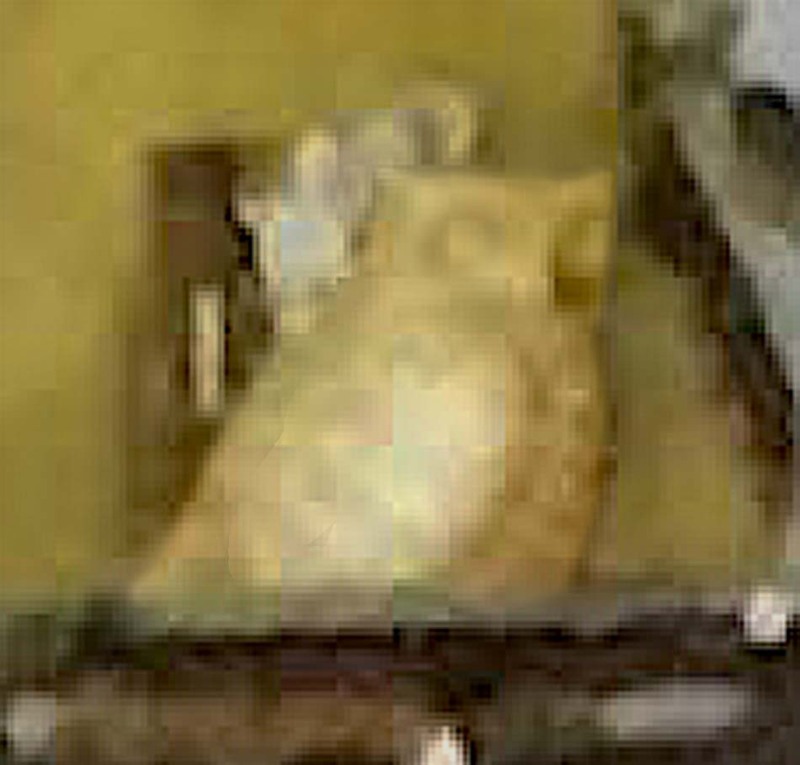 (seen below) In the background on the lamp stand sits a small owl statuette! Thank you Derek Z for playing owl detective! It appears there is one if not more Owl sculptures on the shelving unit behind the red critter sculpture. I really like the in-depth reporting of her experiences, including the far-out stuff (that is likely to be scenarios) by Fowler. Most researchers skip anything too controversial, but I like that he shared almost everything. Some parallels with a few of my weirder experiences are like the ones Betty has had, and I've always wondered about it. “I really like the in-depth reporting of her experiences, including the far-out stuff (that is likely to be scenarios) by Fowler. Most researchers skip anything too controversial, but I like that he shared almost everything. By “scenarios”, I assume you are talking about those contrived situations, like the “food preparation” bit. Did you ever have an experience where you had to breathe a liquid in the manner Betty did when she assumed she was taken on a long ride? John-- I don't recall breathing fluid or being inside a chair-enclosure. Nor do I recall "eye-stalk monkeys" or most of what she reported. But the flat-lightning I've seen, and also somehow been attached to a narrow ramp that I hovered over slightly in an alien sort of city.